“There are so many good and godly people in the military who would be appalled to think that their leaders would be saying things like this,” he said. “The attempt on the part of the social engineers of our day to secularize our culture is in full swing. Everything they can do to remove God, the Bible and morality from the marketplace is being done – not subtly but overtly. In 1775, John Adams wrote Rules for the Regulation of the Navy of the United Colonies of North America to create good order and discipline of a newly organized military charged with defeating the most powerful military force in the world. His first principle defined “Exemplary Conduct;” his second principle directed prayer and divine services twice a day. 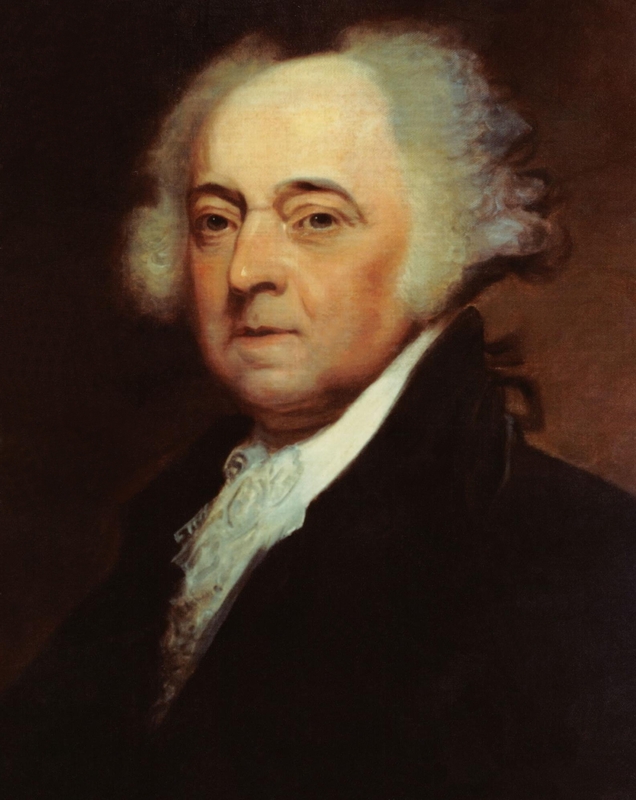 The US military was established upon virtue, honor and patriotism, and prayer and worship twice a day—these are the military’s First Principles, because Adams understood armed men needed a unifying moral foundation especially those trained to search and destroy and charged with defending the American way of life. “The Studies in Social Psychology in World War II Series,” produced by the Social Science Research Council, was one of the largest social science research projects in history. Volume II, The American Soldier, Combat and Its Aftermath, Princeton University Press, (1949), reported data on the importance of prayer to officers and enlisted infantrymen. Prayer was selected most frequently as the soldier’s source of combat motivation. The motivation of prayer was selected over the next highest categories of “thinking that you couldn’t let the other men down,” and “thinking that you had to finish the job in order to get home again.” From the responses, “did not help at all,” “helped some,” and “helped a lot,” 70% of enlisted men in the Pacific Theatre (n = 4,734), and 83% in the Mediterranean theatre (n = 1,766) responded “helped a lot,” as did 60% of Infantry officers (n = 319). The problem of suicide in the military reflects a loss of moral support to a soul not girded by the prayers and moral support that carried our soldiers, who fought without medication, through bitter battles like Normandy. First Principles Press is telling this present generation about the military’s first principles, the moral support previous generations could readily access, the availability of prayer and the brand of valor seeded long ago in the US military’s first principles of virtue and prayer. Endowed By Their Creator: A Collection of Historic American Military Prayers 1774-Present is a collection of hundreds of years of evidence for the benefit of leader-led military prayer from the War for Independence to the present conflict in Iraq and Afghanistan. We ask every church in America to distribute Endowed By Their Creator to servicemen and women and their families and friends. Together, we must tell this generation to “be strong in the grace that is in Christ Jesus. And the things that thou hast heard of me among many witnesses, the same commit thou to faithful men, who shall be able to teach others also. Thou therefore endure hardness, as a good soldier of Jesus Christ” (II Timothy 2:1-4). The blessings and protection of Heaven are at all times necessary, but especially so in times of public distress and danger. The General hopes and trusts, that every officer and man will endeavour to live and act as becomes a Christian soldier, defending the dearest rights and liberties of his country. Before the 2008 election, Pastor Steve Foss shared what he considered prophetic insight concerning that election, including the following. They will be sore tried, by night and by day without rest – until the victory is won. The darkness will be rent by noise and flame. Men’s souls will be shaken with the violences of war. And for us at home — fathers, mothers, children, wives, sisters and brothers of brave men overseas — whose thoughts and prayers are ever with them — help us, Almighty God, to rededicate ourselves in renewed faith in Thee in this hour of great sacrifice. It is clear that the Christian faith and prayer have been part of our national discourse for most of our nation’s history. No longer can Christians afford to be silent as the government and the institutions it controls or influences take away our religious liberties one by one. It is imperative to stand up and be heard before it is too late. One important place to make our voices heard is at the ballot box. Sitting home because we despise the corruption in our government and in politics only makes the problem worse. There are candidates worthy of our vote each election, and we need to lend our support to getting them elected. And most important of all, we need to pray for our country. God bless America!